In a famous episode from the Book of Mormon, Nephi disguised himself as the ruthless Laban to obtain the profoundly important plates of brass (1 Nephi 3:3). During his escapade, Nephi encountered Zoram, “the servant of Laban who had the keys of the treasury” where the plates were deposited (1 Nephi 4:20). Unaware that Nephi had slain his master, and “supposing that [Nephi] . . . was truly that Laban” (v. 26), Zoram confided freely with Nephi about intimate matters. This included some undisclosed information about “the elders of the Jews” in Jerusalem, who came up twice during their conversations (vv. 22, 27). This curious description has elicited some attention from scholars. Who exactly were these “elders” and why are readers not told more about them by Nephi? 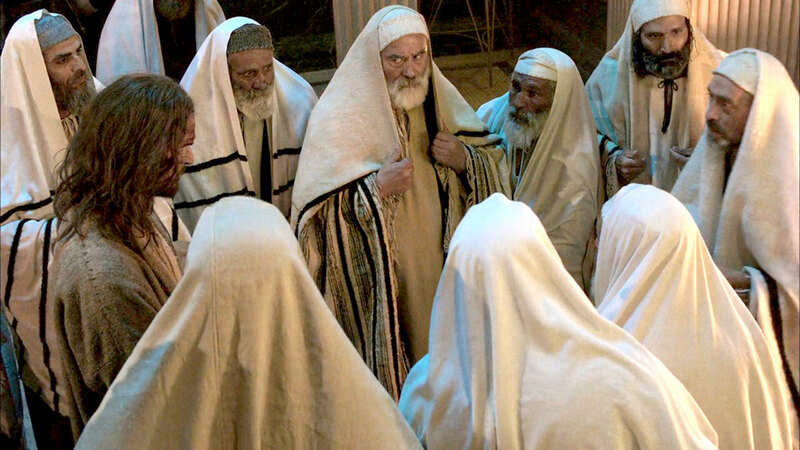 Because the Book of Mormon gives no more information about their identity, scholars have turned to the social institution of Israelite “elders” in the world of ancient Israel for further understanding. Figure 2 Compiling the Scriptures by William Hole. The Hebrew word translated as “elder” in the English Bible is zāqēn and derives from the Hebrew word for “beard.” At its most basic definition, then, a biblical “elder” was an aged (“bearded”) and therefore a wise and experienced male who held cultural, political, or religious authority and prestige in Israel. City elders are mentioned especially in the book of Deuteronomy, reflecting the social institutions and civic attitudes that would have been most prominent in Jerusalem in Lehi’s day. The “elders of the Jews” in 1 Nephi 4:22, accordingly, should not necessarily be thought of as elders in the Melchizedek Priesthood, as modern Latter-day Saint readers might be tempted to assume. Instead, they were probably senior religious or political bureaucrats who served as “community leaders” in a number of capacities. The Hebrew Bible appears to distinguish between “national elders” or the “elders of Israel” who were appointed according to Mosaic law (e.g. Exodus 24:1, 9–11; Numbers 11:16) and “city elders” (e.g. 1 Samuel 16:4) who “perform[ed] several functions within their local community.” It is not entirely clear whether the “elders of the Jews” spoken of in 1 Nephi 4:22 were national or local leaders, but a close reading of the Book of Mormon plausibly suggests the latter. Scholar John A. Tvedtnes has observed that “Jerusalem was a royal city and, consequently, its elders were public officials in the service of the king.” That Laban would be associated with these elders is understandable given how he is presented in Nephi’s record: as an aristocratic military official who commanded a small garrison and had access to a private “treasury” (1 Nephi 3–4). In this position, Laban would undoubtedly have had connections with Jerusalem’s elites, including the city elders who could influence royal policy and oversaw both civil and religious administrative bureaucracies. Figure 3 Zoram giving Nephi the plates. Image by Robert T. Barrett. By understanding the possible identity of the “elders of the Jews” who were associated with Laban, readers of the Book of Mormon can help make better sense of the narrative presented in 1 Nephi. For example, Nephi encountered Laban late at night in the darkened streets of Jerusalem while the latter was dressed in his armor (1 Nephi 4:19). Why would Laban dress in such a manner while meeting with “the elders of the Jews”? If these elders were city government officials, which they very well may have been, then Laban meeting them at night armed and dressed in armor strongly hints at a conspiracy of some nature taking place amongst city officials. Jerusalem had a politically volatile and charged environment around 600 BC, with competing political and religious factions jockeying for power. In this context, it is not farfetched that the greedy and violent Laban would ally himself with a cohort of conspirators wishing to take advantage of Judah’s vulnerable situation for their personal gain. While claims that Laban was involved in a conspiracy with “the elders of the Jews” in Jerusalem must remain speculative, the circumstantial evidence seen in the text supports this reading. To be clear, none of this is to imply that all city elders in ancient Israel were inherently corrupt or wicked. Nor does any of this imply that the ancient Jews were universally wicked or irredeemable. The “elders of the Jews” described in 1 Nephi were but a small group of powerful political players who opposed Lehi. Certainly, there came many prophets and there were righteous religious and political leaders in ancient Israel who earnestly strove to uphold God’s law and who sought the welfare of His covenant people. Negative stereotypes about the ancient Jews of Nephi’s day in civil discourse today should be carefully avoided. Rather, understanding who these elders were within the broader context of Israelite society may help readers make better sense of some specific political and religious circumstances during the time of Jeremiah and Lehi as narrated in the opening pages of the Book of Mormon. Keith H. Meservy, “Elders of the Jews,” in Book of Mormon Reference Companion, ed. Dennis L. Largey (Salt Lake City, UT: Deseret Book, 2003), 241. John A. Tvedtnes, “The Elders at Jerusalem in the Days of Lehi,” in The Most Correct Book: Insights from a Book of Mormon Scholar (Salt Lake City, UT: Cornerstone Publishing, 1999), 59–75. Hugh Nibley, “Politics in Jerusalem,” in An Approach to the Book of Mormon, The Collected Works of Hugh Nibley: Volume 6 (Salt Lake City and Provo, UT: Deseret Book and FARMS, 1988), 95–108. See especially John A. Tvedtnes, “The Elders at Jerusalem in the Days of Lehi,” in The Most Correct Book: Insights from a Book of Mormon Scholar (Salt Lake City, UT: Cornerstone Publishing, 1999), 59–75. Timothy M. Willis, The Elders of the City: A Study of the Elders-Laws in Deuteronomy, The Society of Biblical Literature Monograph Series 55 (Atlanta, GA: Society of Biblical Literature, 2001), 8–13. Willis, The Elders of the City, 9. Tvedtnes, “The Elders at Jerusalem in the Days of Lehi,” 64–65. Tvedtnes, “The Elders at Jerusalem in the Days of Lehi,” 64. Tvedtnes, ““The Elders at Jerusalem in the Days of Lehi,” 60–63. Hugh Nibley, Lehi in the Desert/The World of the Jaredites/There Were Jaredites, The Collected Work of Hugh Nibley: Volume 5 (Salt Lake City and Provo, UT: Deseret Book and FARMS, 1988), 98–99. See Tvedtnes, “The Elders at Jerusalem in the Days of Lehi,” 66–71; Aaron P. Schade, “The Kingdom of Judah: Politics, Prophets, and Scribes in the Late Preexilic Period,” in Glimpses of Lehi’s Jerusalem, ed. John W. Welch, David Rolph Seely, and Jo Ann H. Seely (Provo, UT: FARMS, 2004), 299–336. Hugh Nibley, An Approach to the Book of Mormon, The Collected Works of Hugh Nibley: Volume 6 (Salt Lake City and Provo, UT: Deseret Book and FARMS, 1988), 96. See further Matthew L. Bowen, “‘What Thank They the Jews’? (2 Nephi 29:4): A Note on the Name ‘Judah’ and Antisemitism,” Interpreter: A Journal of Mormon Scripture 12 (2014): 111–125.